The facility, known as “Boys’ Town” at Beaudesert, Queensland, operated by the De La Salle Brothers from 1961 to 2001, is definitely one of the old children’s homes deserving of a second look by the Royal Commission into child sexual abuse. For over 50 years, the unsuspecting public has been supporting the “Boys’ Town Art Union” lottery, which offers houses as prizes, which, among other things, funded the Boys’ Town. It also received Queensland Government financial support. It is not known what proportion of the lottery proceeds actually went to Boys’ Town. Beaudesert Boys’ Town had all of the usual, dangerous, characteristics of children’s homes where abusers ran rampant. It was located in the countryside outside a very small regional town, far from the capital of Brisbane. Isolation was further increased in that the boys were schooled within the facility. Finally, the boys were of low social status, usually being referred to as “at risk” or “delinquent,” etc. although this was not the situation of most of the inmates, who were state wards. The facility was an example of a brilliant marketing strategy. It capitalized on the 1938 movie of the same name with its idealized view of child care by religious. It was promoted for sales of lottery tickets with a “home” as the prize. The public was kept well away from it, so that the differences between image and reality were not exposed. Playing on the “town” analogy, a boy was chosen each year to be the symbolic “mayor” of the facility. This boy then became part of the marketing strategy of the de la Salle fund-raising drive. The first one, in 1962, was John “Johnny” Wlodarczyk. Johnny went on to be a part of the Painter and Dockers Union at a time when it was heavily involved in crime associations. The Union was the subject of an earlier Royal Commission. In 1975, Johnny’s body was fished out of the Brisbane River, wrapped in barbed wire. His teeth had been knocked out, his throat cut, and he had been shot. It would be 20 years before his killers were identified. Not exactly the image the Boys’ Town officials wanted anymore, so publicity associated with him was quietly removed. Former Boys’ Town resident, Terry McDaniel, alleged the brothers subjected him and dozens of other boys to brutal physical and sexual abuse, instead of the education and guidance promised. Since Terry and others shared their stories, the police have launched Operation Kilo Lariat to investigate their claims. About 80 former residents have since come forward with their accounts of abuse. Terry said his main motivation for speaking out was for those who could not. “There are a lot of boys that have passed on that never got the opportunity to voice their voice. We’re their voice now,” he said. 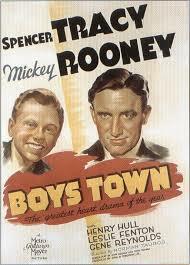 In the 1970s a report criticized Boys’ Town for its preoccupation with conformity, its regimentation, the use of corporal punishment and what was described as “reluctance” on the part of the staff to deal with the social and emotional needs of the boys. More recently, a number of former residents gave evidence at the 1998 Ford Inquiry into abuse at Queensland institutions. While most other similar institutions closed in the 1970s, Boys’ Town was not shut down until 2001, partly because, many state, of the Forde Enquiry revelations. Brother Paul has been the recipient of many public honours. He was named “Father of the Year” for Queensland and “Queenslander of the Year” on three occasions. He was awarded the Inaugural Scouting Award for services to youth. In 1994, Brother Paul was awarded Membership of the Order of Australia (AM) for work with disadvantaged youth, and served on the Des Sturgess report into paedophilia. He finished his commentary with praise for the “De La Salle Brothers who generously and courageously accepted his invitation to work here in Beaudesert. Great work has been done at Boys’ Town over many years. Over the years, they touched the lives of thousands of young men.” And their genitalia as well, according to the boys. The De la Salle Brothers continue to run their profitable lottery, using the Boys’ Town promotional tag. TOMORROW: Who to contact first? This entry was posted in Uncategorized and tagged Australian Royal Commission into Institutional Responses to Child Sexual Abuse, “Smokin’ Joe” Kilroy, Beaudesert Boys’ Town, Boys’ Town Art Union lottery, Br. Paul Smith, Brisbane Archbishop John Bathersby, Brisbane Women's Correctional Centre, Brother Paul Smith Terry McDaniel, Commission of Inquiry into Abuse of Children in Queensland Institutions, De La Salle Brothers, Debbie Kilroy, Des Sturgess, Father of the Year, Forde Inquiry, Inaugural Scouting Award, Jason Parkinson, Joe Kilroy, John “Johnny” Wlodarczyk, John Bathersby, Johnny Wlodarczyk, Lewin Blazevich, Lewis Blayse, Operation Kilo Lariat, Operation Sari, Peet Limited, Queensland Government, Queensland police, Queenslander of the Year, Terry McDaniel, Trevor Carlyon. Bookmark the permalink. I never gave any money or legal tender to Boystown and one shouldn’t give any money to anything that’s run by the catholic church. I attended a friends wedding when 1c and 2c coins had gone out of circulation and were no longer legal tender. I deposited those in the collection plate when it was passed around. The Catholic church is the mafia in that it does what it likes, when it likes to whoever when it wants to. They evade inquiries, obstruct justice and use outright threats and intimidation on people to get what they want. The whole organisation is rotten to the core. Peter Hawkins & Sandy Turner are tared with a the same brush. My 2 Younger Sisters and l are 3rd generation Victim’s abused by the hand of the grub mentioned Sandy Turner unable to be heard and angry by the abuse started at Boystown My Sisters and l have struggled for over 20yrs to deal with what he did and to have found out priest at Boystown could have introduced this Grub to being an Abuser and a Con now 3 yrs ago, l to want to be heard and the right Justice for the priests and Sandy Turner needs to be. How can a Man as Turner have Allegations of sexual Assualt to a child back in 1992 and again in 2002 then in 2012 come out on National TV crying out for an Apology and Compensation for Assualts to him at Boystown, is this overlooked because his wife Kerrie Turner works within Child Protection team at Yamanto Police Station???? WHAT DO YOU KNOW OF SANDY TURNER?? Johnny Wlodarczyk was the Mayor of Boys Town Nebraska in the 1950’s….he was the one portrayed as having the the bum leg…..Johnny had nothing to do with Boys Town Beaudesert….